Mahira Khan said: "Javed Sheikh of all people! He is a legend and a mentor to all of us in this industry"
Don't believe everything you see. 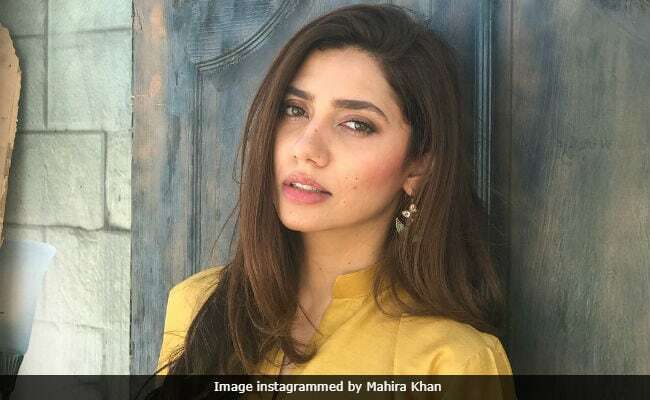 Actress Mahira Khan 'vouched' for actor Javed Sheikh after a video of their alleged awkward interaction went viral. "Woke up to such silly stuff floating around. It's good to be aware and have an opinion but for God's sake don't use anything and everything to make news," Mahira tweeted recently. A video from the Lux Style Awards 2018, showing Mahira and Javed's interaction when she received the Best Actress award (for Verna) went viral. Comments such as "(it was) a little disgusting" flooded the social media. "Javed Sheikh of all people! He is a legend and a mentor to all of us in this industry. Would vouch for him always," Mahira Khan added in her statement posted on Twitter. I have just woken up to such silly stuff floating around. It's good to be aware and have an opinion but for Gods sake don't use anything and everything to make news. Javed Sheikh of all people! He is a legend and a mentor to all of us in this industry. Would vouch for him always. Javed shaikh kiss thing is just a little very disgusting. I expected so much from javed sheikh. I mean why would you do that? Javed Sheikh is a veteran Pakistani actor with films such as Main Hoon Shahid Afridi and Kalay Chor to his credit. Javed Sheikh has featured in several Bollywood films such as Namastey London, Om Shanti Om, Apne and Happy Bhag Jayegi. A similar incident occurred during Oscars 2015 and it included actors Scarlet Johansson and John Travolta. The Internet accused Mr Travolta of being "creepy" after a picture of him kissing Ms Johansson on the cheek went viral. She later defended John Travolta and told the Associated Press: "The image that is circulating is an unfortunate still-frame from a live-action encounter that was very sweet and totally welcome. There is nothing strange, creepy or inappropriate about John Travolta."